Estimated completion in December. This popular Keystone plan welcomes you in with a 2 story vaulted ceiling in the foyer and an elegant formal dining room. 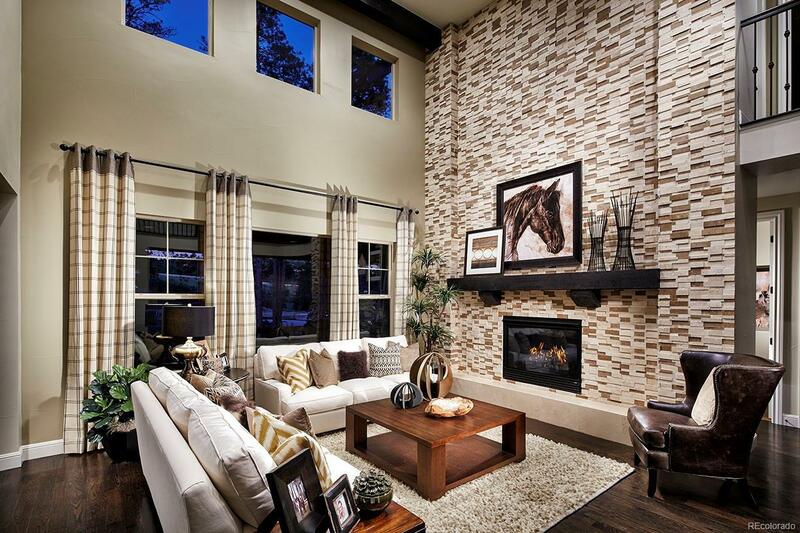 Cozy up by the gas fireplace in the voluminous 2-story great room which is highlighted by decorative wood beams. You'll be wow'd by the gourmet kitchen featuring staggered espresso cabinets, elegant Carrara quartz countertops, walk-in pantry, stainless steel appliances including a gas cooktop and double ovens. Upstairs there are 2 secondary bedrooms, a convenient laundry room with cabinets, spacious loft and a gorgeous Owner's Suite with vaulted ceiling, wood beams and massive walk-in shower and soaking tub. No detail has been forgotten in this spectacular home including 8 ft. doors throughout the first and second floor, Oversized rear covered deck, extended 5" engineered hardwood floors, and a full garden level basement with rough-in plumbing. Don't miss your last opportunity to call Castle Pines Village home!